Any brain tumor is essentially serious and life-threatening because of its invasive and infiltrative character in the limited space of the intracranial cavity. However, they do not automatically cause death, but rather their threat level depends on the combination of factors like the type of tumor, its size and location, and its state of development. Their main danger comes from the fact that they can directly destroy brain cells, as well as by other means, such as producing inflammation, placing pressure on other parts of the brain, and increasing pressure within the skull. A brain tumor is a mass of abnormal cells in the brain. There are numerous types of brain tumors, depending on whether they are cancerous (in which case they are called malignant tumors) or non-cancerous (benign), or whether they have started in the brain (in which case they are called primary), or have spread (metastasized) to the brain (in which case they are called secondary brain tumors). When it comes to symptoms, the specific symptoms depend on the tumor's size, location, how far it has spread, and related swelling. The most common symptoms are: headaches, weakness, seizures, nausea, vision problems, mental confusion, difficulty reading or writing, etc. The treatment will also depend greatly on its type, size and location, but the most common treatments include surgery, chemotherapy, radiation therapy and radiosurgery. 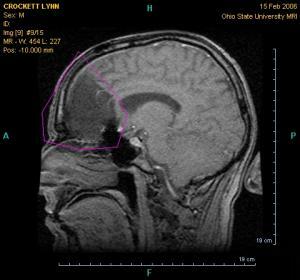 The brain tumor survival rate depends on a variety of factors, such as the size and location of the brain tumor, type and stage of the brain tumor, and whether the patient is suffering from any other illness (i.e. the patient’s overall health) and the patient’s age. As in the case of other type of cancers, the stage 4 brain tumor survival rate is very low. About 13,000 people die from cancerous brain tumors each year. Recent advances in surgical and radiation treatments have significantly extended average survival times and can reduce the size and progression of malignant tumors. The survival rate is usually expressed in the form of percentage of people who survive for five years after the diagnosis of the brain tumor. The brain tumor survival rate for children and teenagers is around 65%. The brain tumor survival rates are around 80% for those suffering from oligodendroglioma brain tumor. However, it has been proven that survival rates tend to be highest for younger patients and decrease with age. Research has shown that the survival rates for those who are in the age group of 45 to 64 years of age are around 15%. Over half of the people aged between 15 - 45 survive this disease for a substantial period of time. These figures are low (around 5%) in the case of old people. Can brain radiation affect growth and normal brain development? Can brain radiation therapy be delayed?